This stylish, large-format kiosk provides a robust solution capable of handling anything you or your guest can throw at it, all while looking good. It’s 32” touchscreen provides users a larger viewing area that allows them to interact with high resolution, high definition video, text, animation, and still images. From wayfinding, to self-checkout, to visitor check-in and queue management, the Gallery is capable of handling it all. 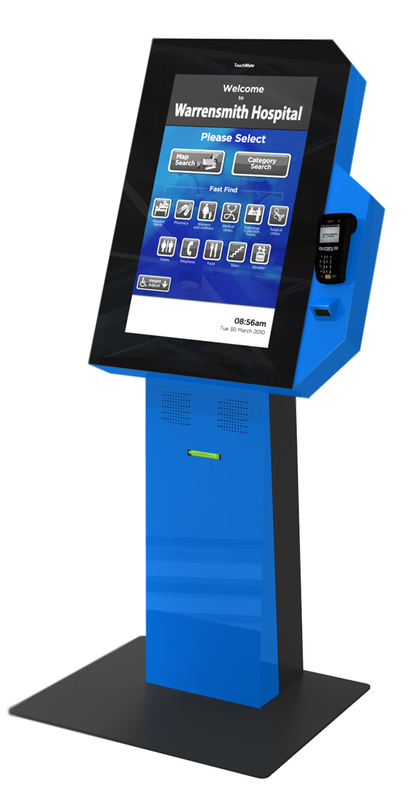 The slim, yet full-sized body of this kiosk also allows you to take your company’s branding to the next level. With nearly limitless color options available and the ability to create custom graphics, you are able to take your Gallery to the next level in terms of branding and image.